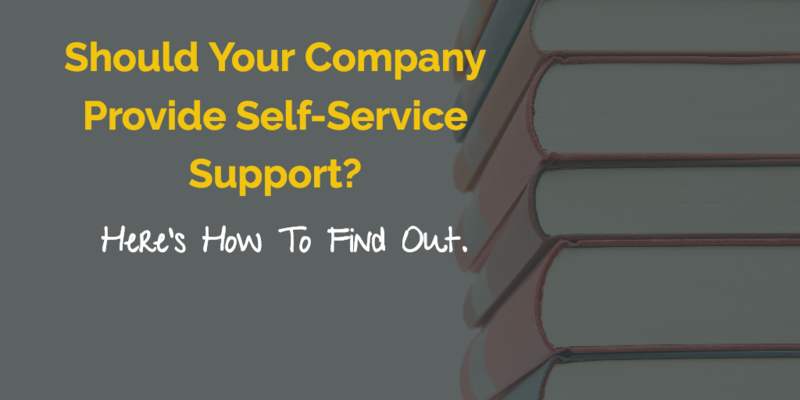 Should Your Company Provide Self-Service Support? Here's How To Find Out. You can’t go anywhere in customer support circles today without hearing about self-service support. To hear it from the experts, this vanguard of the digital revolution promises to increase efficiency, reduce stress and frustration, and have a huge financial impact on customers and businesses alike. But while it sounds great in theory, many businesses find that joining the revolution isn’t always an obvious choice. For starters, creating a well-organized and helpful self-service center isn’t easy; there are serious ROI implications that need to be considered. Beyond that, there’s always the possibility that customers who prefer human interaction will feel alienated if traditional support channels are scaled back… even worse if they experience a decrease in effectiveness. This causes many otherwise well-meaning businesses to hesitate, hedge or both. And without a CS director with a clear sense of purpose driving the self-service project, the cure can be worse than the disease. But it need not be this way. There are many different options a business can consider when making the leap into self-service . Are Your Customers Tech Savvy? The most important thing to consider is the nature of the business. If your company enjoys a clientele that is comfortable using tech, offering a self-service option is a must. A recent survey by the Pew Research Center showed that 59% of adults on the internet use search engines to find what they need on the broader internet daily. An optimized self-service option uses the exact same principles as a well-built search engine. If customers fall into this category, then not offering them the ability to help themselves is a mistake. That being said, it might not make much sense to invest in an online self-service support center if your business caters to an older generation which is less comfortable with the internet. Is Your Company Able To Manage Expectations? 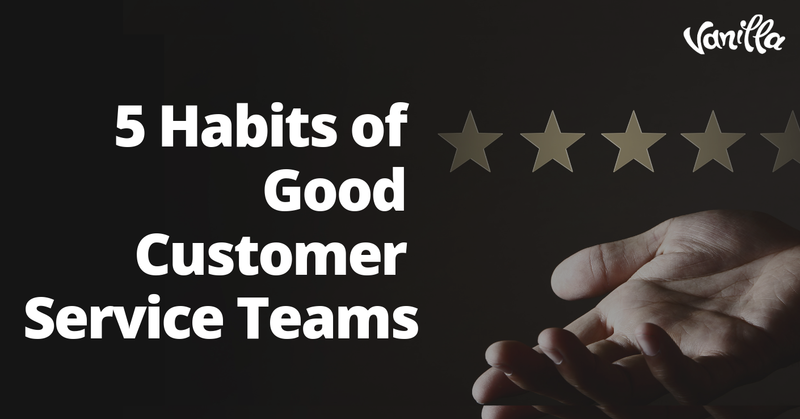 The expectations customers place on customer support increase every day. Simply putting up an FAQ and calling it a self-help center is not enough. Today’s self-help centers provide complex, comprehensive answers to nearly any problem a customer may have. A company which presents itself as offering effortless and efficient options will be held to that standard by its customers without exception. Managing these expectations is a big commitment and will include things like complex FAQ sections, an effective social media presence and even community forum curation. Creating the network of resources necessary to get this done is a task that could take weeks or even months, and will then require regular maintenance. 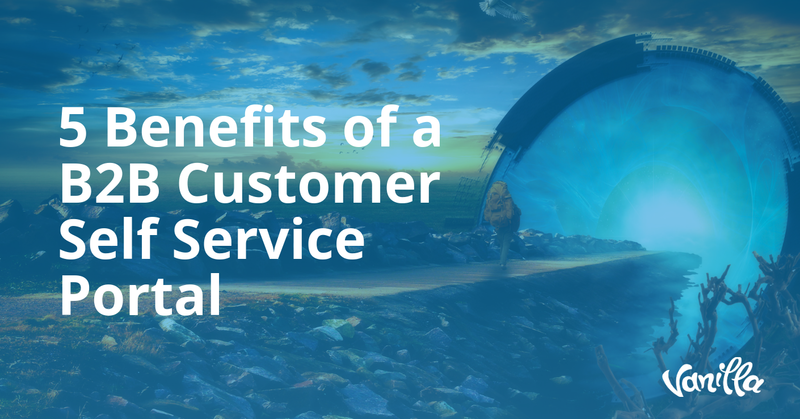 Self-service support is not just about the customer. It should also operate as a cost center for the business. In addition, you must ensure that it makes sense from an ROI perspective. Oracle did a research paper on the ROI certain types of self-service options can bring to a business. It showed savings over a traditional call center as high as $11. But every business is different. If call support is not a huge expense, there may be no need to go this route. Doing self-service right is complicated. It requires a variety of techniques including audio/visual content, proper search result curation, mobile optimization and more. Once the infrastructure is in place, all the content must be updated on an ongoing, real-time basis. Companies must produce a clear accounting of projected costs and how that number will match up with current expenditures, before making a decision. When in doubt, nearly every business should err on the side of caution and create a self-service option. 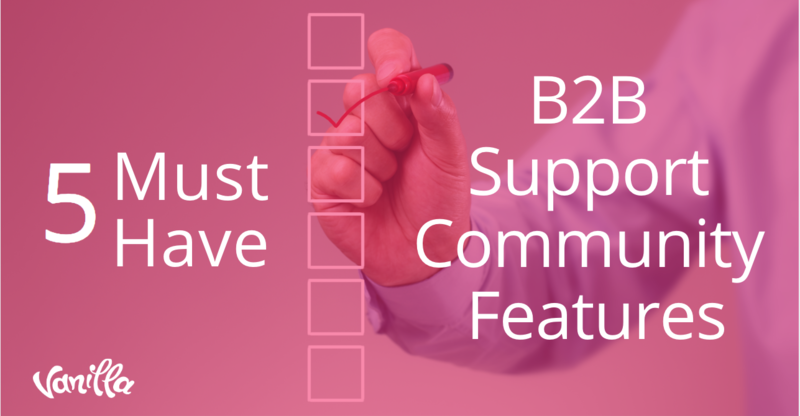 For one thing, more and more customers expect to receive quick responses. In fact, nearly 40% expect an email response within 4 hours of making their request. Moreover, research by the CMO Council showed that 75% of customers listed ‘fast response times’ as the most important determining factor in their customer experience. Self-service options give the customer the ability to find what they need online – quickly and without any middlemen. So although it’s true that not every customer will want to use it, failing to provide it will be perceived by tech savvy customers as a waste of their time. And given the number of customers that are currently using search engine technology in their everyday life, there is really no excuse for a company not to offer one.